May his heart be receptive and obedient to the Lord and His Word, give him ears to hear and discern the things of God that he may make decisions and choices based on Biblical principles. Protect him from all harm. Send Holy Spirit to guide him to walk in the steps which are ordered of the Lord. Bless him and his family. I cover him in the blood. I harken the angels to surround him. I pray that he keeps discernment and wisdom in communion with our leader President Trump. For this and as he is on the team - we pray for TRUTH AND JUSTICE VERY VERY SOON! Dear Lord, I pray for the gift of wisdom, revelation and all spiritual understanding for Mike Mulvaney in his very difficult position. 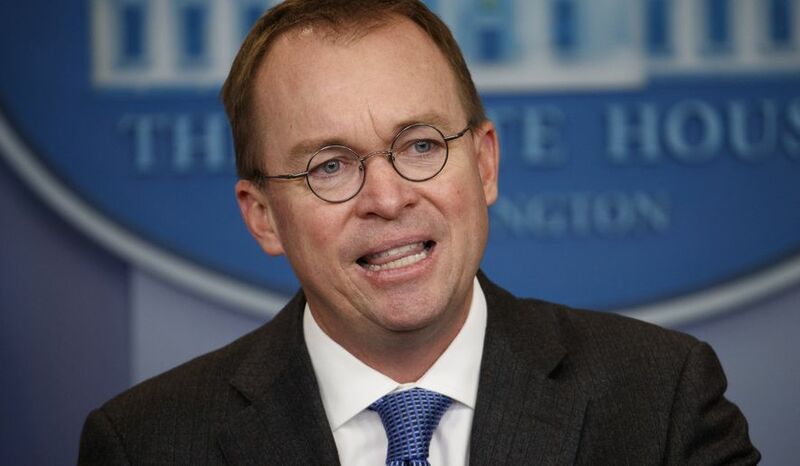 Father I thank you for Mick Mulvaney and his staff, I prayed that you will give him wisdom , discernment, peace that comes from you, to accomplish his work in the White House for President Trump in Jesús Name. I lift up Mick Mulvaney to you and ask that you use him mightily to accomplish all that his office is responsible for doing. I pray that you would grant him the Wisdom,through You, that he needs to advise President Trump. Use Mick in a mighty way, Lord Jesus, for your Glory and our good. Father in Heaven I praise You for Your Goodness and blessings You give us in the USA. Thank you for Mick and his critical role as White House Chief of Staff. Give Him your Wisdom, Discernment, and your Peace knowing that we make plans but You, Father, direct our steps. Abba Father, we thank You for our leaders and we lift them to You. As Your Hand of protection and encouragement rests upon them, thank you for giving them insight and wisdom to make decisions that advance Your Kingsom here on earth. Wonderful LORD, give them clean hands and pure hearts so they may stand in Your Holy Place. Strength and power come from you so that You exalt and strengthen all. We pray for good government. May it be that He will be taught of the LORD and great will be his peace. In righteousness he will be established. Tyranny will be far from him. Terror will be far removed. It will not come near him. We thank you for our leaders. In the precious Name of Jesus, we pray. Thank you for Mick Mulvaney. This is such a complex job in a very complex time. Please help him understand how he can receive Wisdom from You. There are "oceans of information", but very little Wisdom. Our nation and our world are desperate for You and for Truth. Without it, we will continue to be prisoners - not free men and women. We ask You to turn his Heart, and our Hearts toward You - our whole Hearts - so that we can serve You, our President, our nation and the world in life-giving ways. When we disrespect authority we cannot receive Your blessings, O God. We are desperate. We need You.